New Delhi: In a classic case of double standards, senior Congress leader Kapil Sibal on Tuesday represented Reliance Communications chairman Anil Ambani in a contempt plea by telecom company Ericsson over failure to pay outstanding dues of about Rs 550 crore. While Sibal’s political opinion on Ambani is complexly different, the Congress has been targeting Ambani's involvement in Rafale deal. On one hand, Sibal is giving legal assistance to Ambani on the other he along with the party have been alleging that Prime Minister Narendra Modi has given Rs 30,000 crore to Ambani. 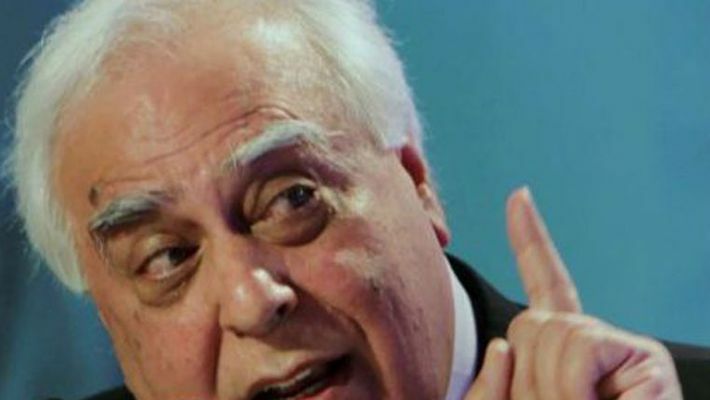 Hours before appearing for Ambani in the Supreme Court, Sibal had tweeted excerpts of an email trail, which indicated that Ambani was aware that a Memorandum of Understanding (MOU) between India and France would be signed by Modi on the defence deal. The Congress leader has defended Ambani in many hearings of the case in the past too. In October last year, Sibal had asserted in court that the delay in repayment on behalf of his client company is due to non-issuance of NoC for sale of assets by the department of telecommunication. Sources also told that earlier the Congress president Rahul Gandhi had asked the lawyers in his party to avoid appearing for Ambani and his companies in court. Sources have confirmed that in accordance with his new edict, Rahul has made calls to some of the lawyer-leaders and asked them to not engage with any form of litigation matter with Ambani and his conglomerate. It is interesting to note while Rahul blames the Modi government of favouring Ambani but his own senior party leaders are defending Ambani’s company in the court. Netizens also took a dig at Sibal and called him ‘opportunist’.